I've just released the old new Mundosmilies tools, now available in Android (again) with new features etc. THIS IS NOT A OFFICIAL APP MADE BY xat.COM AND IT WILL NEVER ASK YOUR LOCATION, CAMERA PERMISSIONS, AND LOGIN INFORMATION, AND NOTHING IS STORED IN MUNDOSMILIES SERVERS. Well, it's already uploaded to the Play Store, so it now can be downloaded safely. 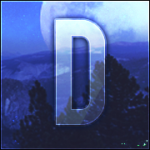 If you have suggestions to improve it please post here, and I will review and add it to the next updates. Yes, soon it will be available for iOS. (I just created the post again because someone ignored my PM message, thank you for it). Is it safe to use the application? A score of 0 to 100 which you would give for safety? When you upload something in the Play Store (which is a paid platform) , you must declare all information correctly, them will verify if everything there is according to the Google rules. * It is classified as a free app for everyone (all ages). * No information is stored on our server. * All APIs are running under SSL. * The minimal version of Android that being used is stable. * The app do not ask you for login or chat details (such passwords or personal information). * The app is with the proper permissions to use only Wi-Fi and mobile data. Why would anyone ever need this though? If I need any of this information I would already be using xat and there would be a bot in the chat, or a website open in another tab that does all of this. Read my last status post its completely for you. Suggestions are welcome, I won't delay in adding anything new. I will just update it in few minutes and upload a new version to the Play Store. Not all chats have bots online, and you cant start more than one chat per time, just one. I can use trade for this application?? I can use Edit chat from the application?? Does Hua work normally and does not sign out of chat while using Facebook or other apps? Can I open more chat rooms than I do in browsers ?? Is there a description of this application? Does this app have an xat application in it? This app provides an easy way to access useful tools for xat users e.g. to get a username from a id, chat information or power prices. 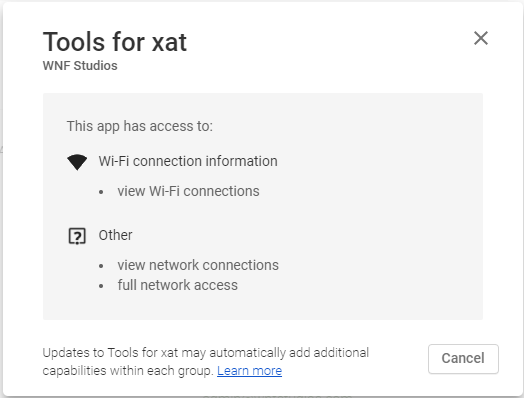 It's not another way to access xat from mobile. It is actually useful in my opinion especially with the Smiley Generator and shortname price ! The app is good so far, in the aspect of usefulness. I use an android, but I just dislike how the UI is all Google Material. Hopefully in the future there's a slight or major redesign. Images, examples and explanations are always welcome! Pointless app that probably had a lot of wasted time put into it. Not only is it way easier to just access these tools online on a site (doesn't take up memory), it's also very easy to turn this app in to a malicious one. I don't think you have malicious intentions, but who knows, people can have a change of heart. I personally think the admins should block your app from accessing the info it retrieves, and get it pulled from the play store. Focus your time on other things people will use, not gimmicky apps. Then if someone find anything malicious there just torch me. I'm totally responsible for it. I can say this because PLAY STORE DOES NOT ALLOW ANY MALICIOUS APP. Yes, maybe it is easy to do, maybe you can simply use a website. But what if we want real-time notifications? Why not installing a app with less than 2,5mb? Next updates I decided I wont use my APIs ( available in https://github.com/xlaming/xat-api ), I will use xat urls like pow2, powers.php to get all info, if you're saying my API is "not safe". And about the last issue you mentioned, well I'm not trying to get any benefit in xat this is obvious, I do apps like this one just to learn and for fun. In future I can work with that for money. I can confirm, lemme tell you an example which happened to me. I learned the last 6 years coding fan pages for xat, tools, and other things for thirty part, like FB, Twitter, Instagram. And well, I'm getting money with this now, working with I like. The point is, learning is always welcome. Its safe, play store wont allow people to upload malicious app(i'm sure). If they ask me I myself will remove it, I'm not doing it wrong, I have the same rights than any other user. Note that when you're using it you dont need to use lot of mobile data. Just external api with less than 1kb is loaded. Do you think if I make a prototype on XD and share it via an Adobe shareable link would you try to make it work? Maybe we can take it to DMs and work out something for the near and far future.